From mid October, the frequency of the Melzo-Rotterdam rail service will be daily. 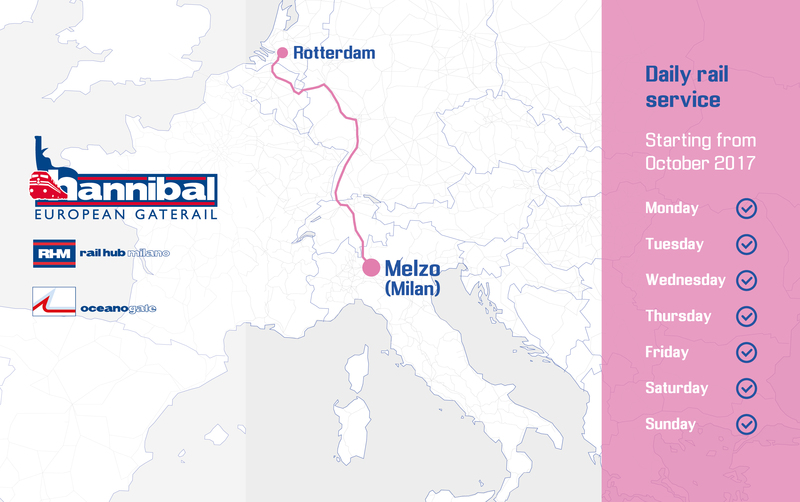 Contship is proud to announce that, starting from Sunday October 15th, Hannibal will increase the Melzo - Rotterdam Rail Service frequency to seven round trips per week, providing to valued customers daily departures. Hannibal would like to thank all valued customers for the continuous support and will commit also in the future in providing the highest level of service. Capitale Sociale Euro 33.800.000,00 i.v. Sign up for our newsletter and get news and updates delivered to your inbox. Marketing, commercial and technical resources for the Group and the Subsidiaries.